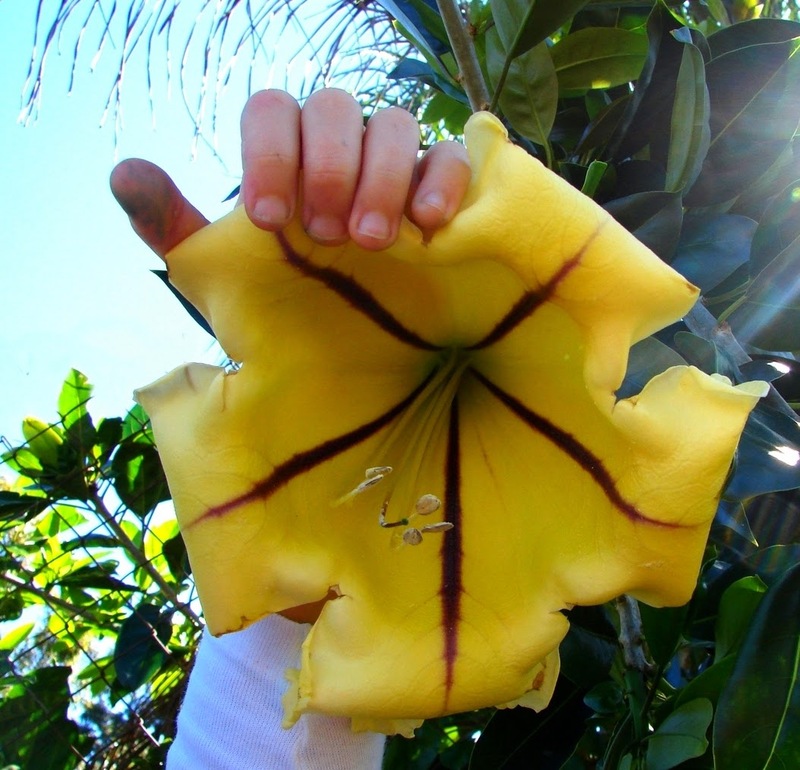 The Golden Chalice vine - Solandra grandiflora is one of the most impressive of all perennial climbing plants. Native to Caribbean, Mexico and South America, it is sought after by gardeners as an ornamental garden, and by local tribes for its narcotic properties. The defining feature of this plant are its impressive blooms. Each flower can grow up to 10 inches long, and are distinctly bell or chalice shaped - the inspiration for its common name. They first open up brilliant white in colour with a yellow throat, and have purple or brown stripes spiralling inside. As the flower matures the overall colour will darken to a lush gold. The glossy leaves are oval shaped can grow as large as 6 inches. Unusually they sprout directly from the main stalk and side branches. The flowers bloom in the evening or night and produce a strong, sweet fragrance similar to coconut, suggesting that they are pollinated by bats and moths. In their natural habitat the pollinated flowers are followed by large light-yellow berries which contain large amounts of tiny seeds. These berries change from light-yellow in colour to deep red as they ripen. 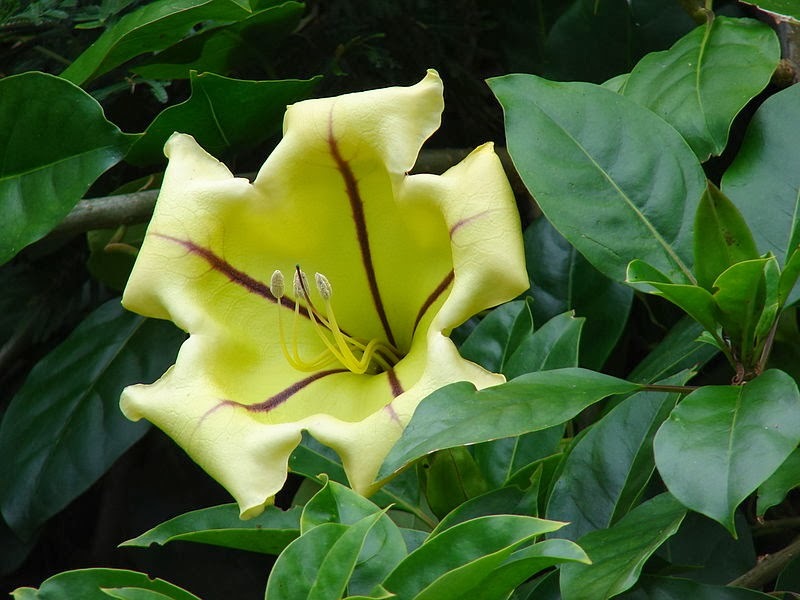 The aboriginal Indian tribes from central Mexico and northern Central America know the Golden Chalice vine as Kieli or Kieri which means 'Plant of the God’s'. It is regarded as a powerful, magical drug and aphrodisiac, however traditional wisdom believes that it is surrounded by evil forces.